A Watershed Restoration Action Strategy (WRAS) is a plan with goals and commitments to restore the health and quality of a particular watershed and habitat. Starting in 2001, with the support the Maryland Department of Natural Resources (DNR), the WRAS Program developed these plans for numerous watersheds in Maryland. 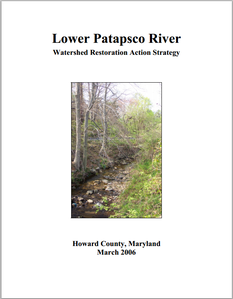 In 2006 a strategy document was created for the Lower Patapsco River. You can find a listing of the completed reports and plans on the Watershed Restoration Action Strategy website.